B.S., The Florida State University (1970). 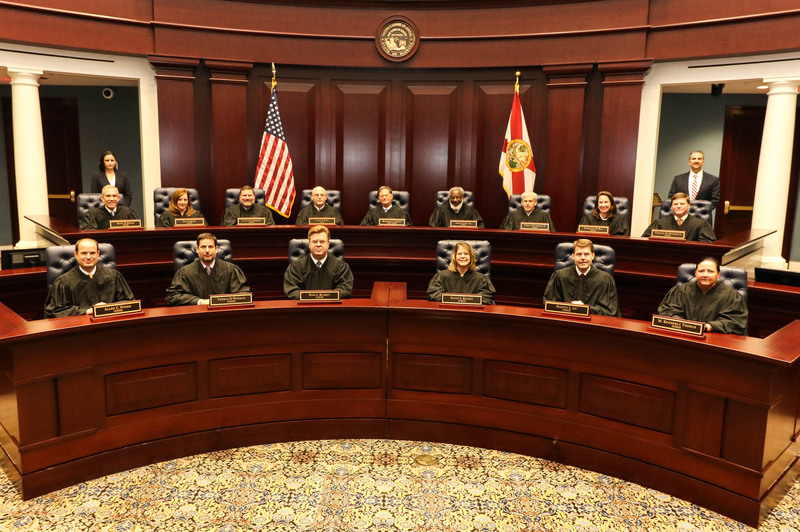 Appointed to the First District Court of Appeal by Governor Rick Scott in June 2011. Circuit Court Judge, First Judicial Circuit, April 2003 to July 2011. Appointed by Governor Jeb Bush. County Court Judge, Santa Rosa County, May 2000 to April 2003. Appointed by Governor Jeb Bush. Military Judge, Navy and Marine Corps Trial Judiciary, 1982 to 1985. Judge Swanson served in the United States Navy’s Judge Advocate General’s Corps for over 20 years, retiring as a Navy Captain in 1995. While on active duty, Judge Swanson served in numerous assignments to include: in ships of the Atlantic Fleet; as Special Counsel to the Vice Chief of Naval Operations during the First Gulf War; a 1988 assignment as counsel in the Persian Gulf; duty at Naval Station, Guantanamo Bay, Cuba; and Commanding Officer, Naval Legal Service Office Central, Naval Air Station, Pensacola, Florida. Upon retirement from the United States Navy, Judge Swanson served as an Assistant State Attorney, First Judicial Circuit, from August 1995 to May 2000. He was designated Special Prosecutor for cases of significance, 1998 to 2000. Military awards and decorations: The Legion of Merit; Meritorious Service Medal (multiple awards); Navy Commendation Medal (multiple awards); Navy Achievement Medal (multiple awards); Overseas Service (multiple awards) National Defense Medal. Past Board Member and Vice President, Big Brothers/Big Sisters, Northwest Florida, Pensacola, Florida. Past Board Member Navy Home, Biloxi, Mississippi. Past Senior Warden and Vestry Member, St. Francis of Assisi Episcopal Church, Gulf Breeze. Former Rotarian. Past member, Inns of Court (Trial). Judge Charles E. Miner, Jr.
Judge Charles J. Kahn, Jr.
Judge Edwin B. Browning, Jr.
Judge William A. Van Nortwick, Jr.